Suzanne joined the firm in 1995 as an apprentice. Suzanne qualified in 1998. Suzanne entered the profession at a very good time. The economy was very active and she quickly came on board in the activities that the office was involved at that time and continued to be involved in it. Suzanne built up her knowledge very quickly and at the same time she gained the confidence and respect of the clients. Suzanne’s primary interest was in conveyancing. She developed her knowledge into specialist areas such as apartments and the acquisition and development of land. Aside from the foregoing Suzanne took a keen interest in administration of estates and now she looks after this side of the firm’s practice. As an add on Suzanne gained experience in drafting Wills which likewise she has a keen interest in. 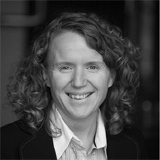 Suzanne is a member of the Institute of Taxation of Ireland having obtained her Diploma. This brings a broad knowledge to the workings of the office. Suzanne has lectured on property related topics to the students at the Law Society. She has lectured to the profession at the main lecture centres around Ireland. She is an active member of the conveyancing committee of the Law Society. Suzanne has experience in the Courts. She deals with routine debt collection matters. In the present economic climate Suzanne is addressing her knowledge of Labour Law with particular reference to redundancy due to the volume of cases now occurring in this area of the Law.